Dr Wu is the best. Professional, personable and really knows her stuff. She’s everything you want in a doctor. Dr. Wu and her staff are wonderful. Dr. Wu has a professional bed side manner and is always thorough and takes the time to answer all my questions. The best! Dr. Wu is always very pleasant, thorough but yet respectful of your time and won’t keep you waiting. I would definitely recommend her to anyone I know! DR.WU gives a thorough examination, asks very pertinent questions and listens to the answers with follow-up questions as needed. Her instructions are always given clearly and with patience. The atmosphere is calm and pleasant! Always concerned, friendly & caring. Asks you questions concerning your condition & to give her a call as soon as we get our results so that she may check the results quickly on the ccomputer. Thank you. 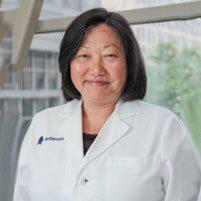 I recommend Dr. Christine Wu highly. Dr. Wu is always very professional and takes time to answer any questions I very. Nice front of house staff. Great doc care. Easy to understand. My experience is always a pleasant experience. Dr. Wu is always personable, and empathetic. She is careful and comprehensive and, by far, the best I have been to. The office is quiet and respectful. Both office Manager & Dr. Wu were polite,courteous,professional. This is one Dr.’s visit I truly enjoy! Dr. Wu was really helpful in answering all my questions in an easy to understand but descriptive manner.